Thursday Dealers only, early bird available. Up to 125 tables, Sold out early last year, book your today! 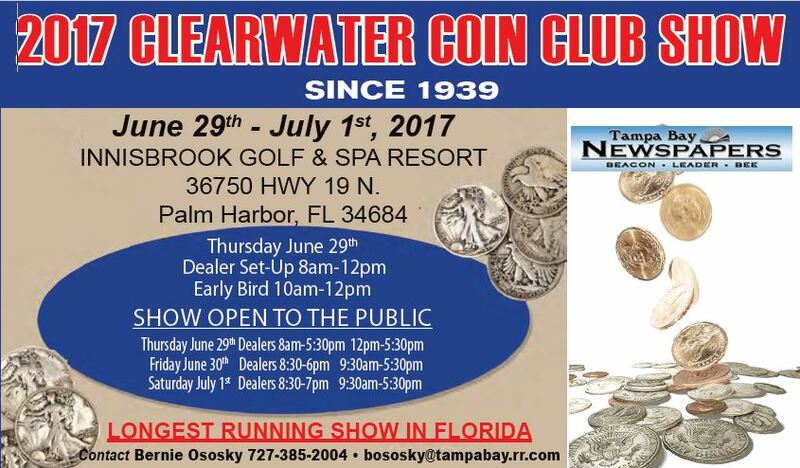 Please verify the show times and dates before attending the "Clearwater Coin Show - Innisbrook", as they are subject to change.